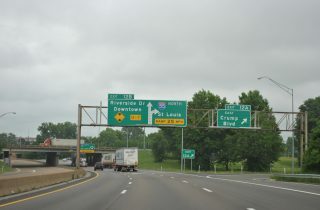 The northbound mainline of Interstate 55 utilizes a two-lane loop ramp to make the western turn at Crump Boulevard and Riverside Drive in Memphis, Tennessee. Photo taken 05/03/12. 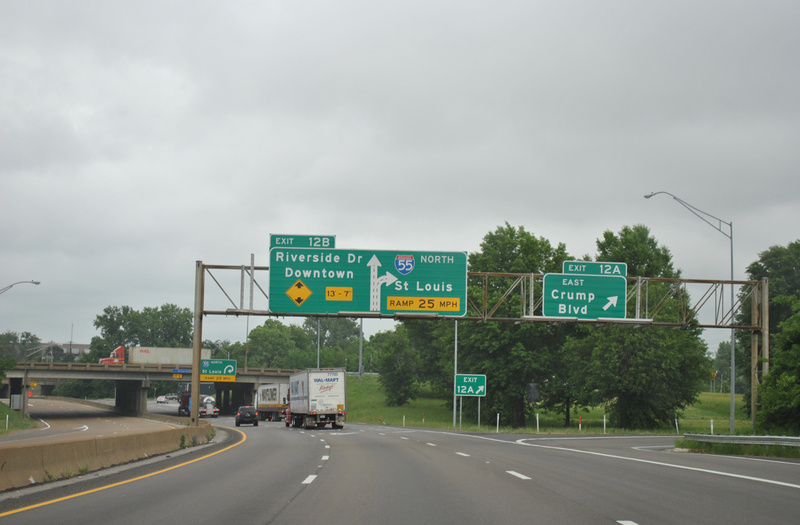 The mid-1960s design of the cloverleaf interchange between Interstate 55 and Crump Boulevard is unusual in that a mainline utilizes an exit ramp. Future roadwork by TDOT involves construction of a new mainline that bypasses the Crump Boulevard and Riverside Drive cross roads to the southwest. Interstate 264 east at Interstate 64 in Virginia Beach, Virginia. Photo taken 07/28/13. Interstate 64 is unique in the Interstate system as the “easternmost” 16 miles travels counterintuitive to the east-west signing of the freeway. 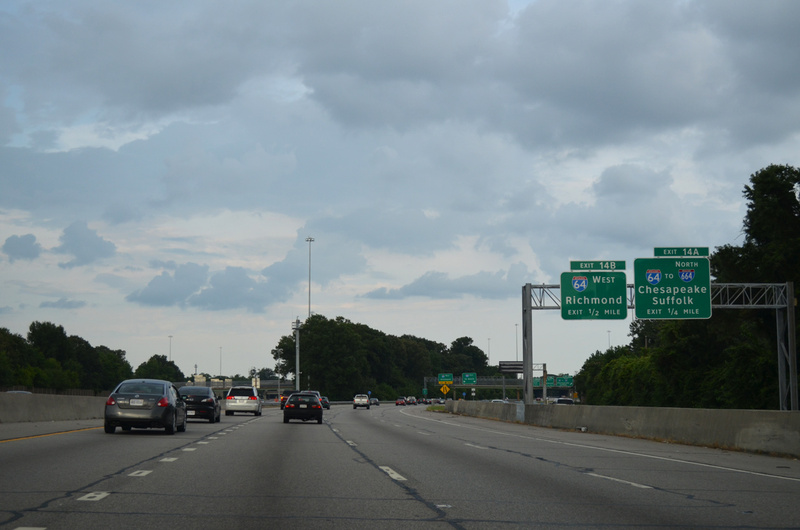 VDOT drops cardinal direction banners for the Hampton Roads Beltway between I-264/664 at Bowers Hill and I-264 at Virginia Beach.